While not necessarily an art supply, the Pilot EasyTouch Pro claims to use a hybrid ink formula to make a smooth writing, quick drying, waterproof ink, which sounds super handy. Let’s see what it’s all about. 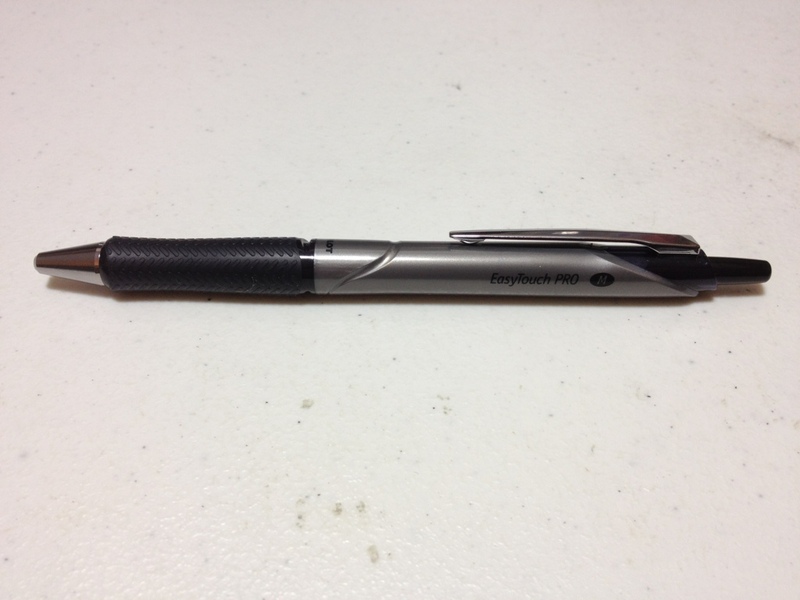 First the body of the pen features a “modern design”. The tip is a metal cone similar to most click pens. The grip is nicely tapered and flares out at the end. The barrel is fairly straight, but with a little engraving and minimal information. The clip is simple, and tight, with a “modern design”. At the end is a click button and a strange cutoff design. The click mechanism works well but has a grating sound. 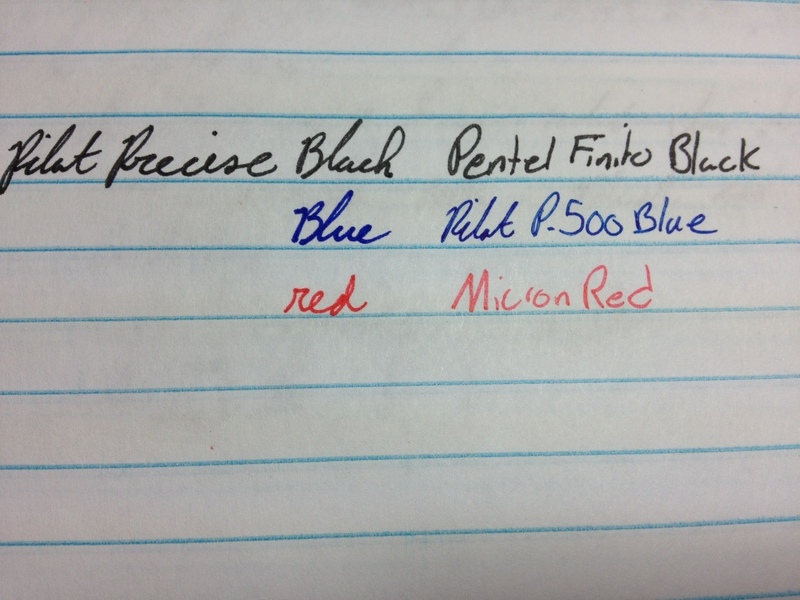 The ink itself is a slightly dark black, but really more of a grey. The tip is medium and there are no options. It does flow quite easily, with very little pressure on the paper. 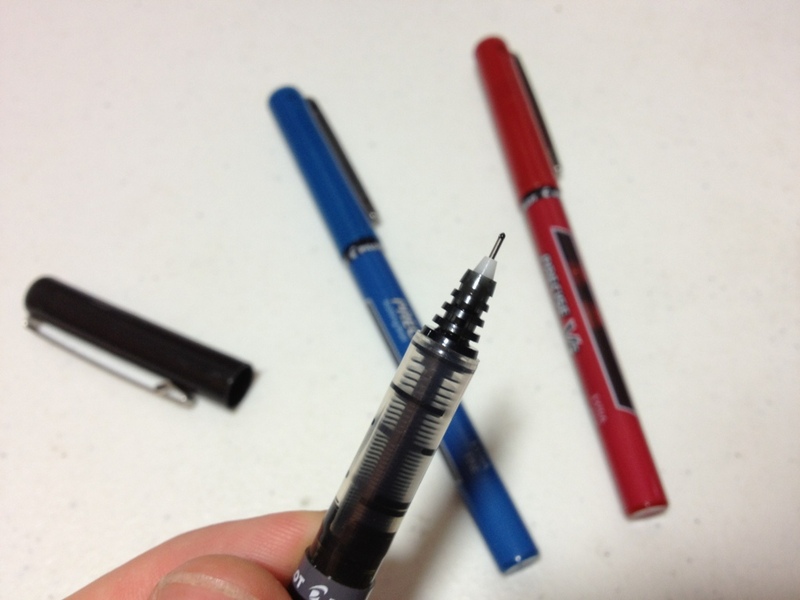 It isn’t as smooth as a fountain pen, or even a gel pen. It does offer some line variation when one presses harder, and it becomes considerably blacker when one does so. It dries fairly fast, though not the fastest. All of this is quite nice until at some points when one is writing (especially when one has just started) a large blob of ink spills out of the point and bleeds though the paper. 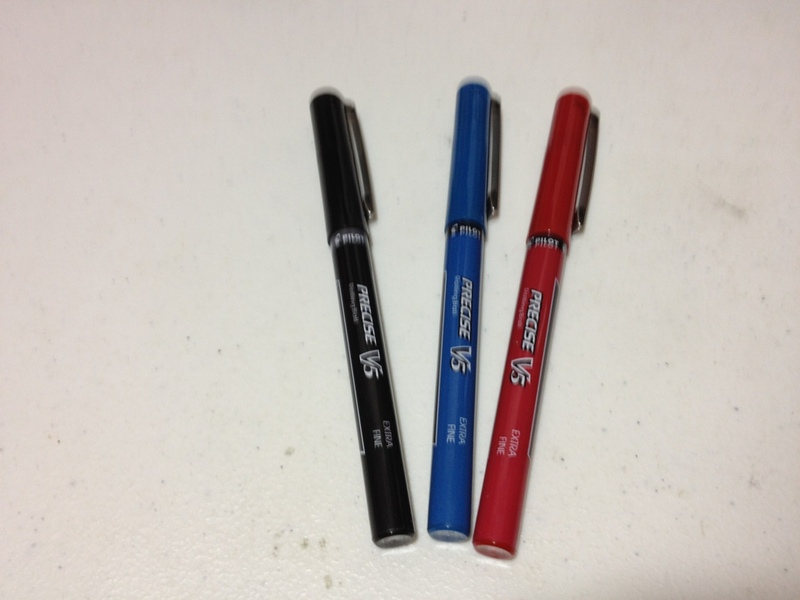 This is not really unusual for a ballpoint, but the amount and the bleed through make it quite a problem. It’a not really a problem when writing, but a problem when doing anything else. 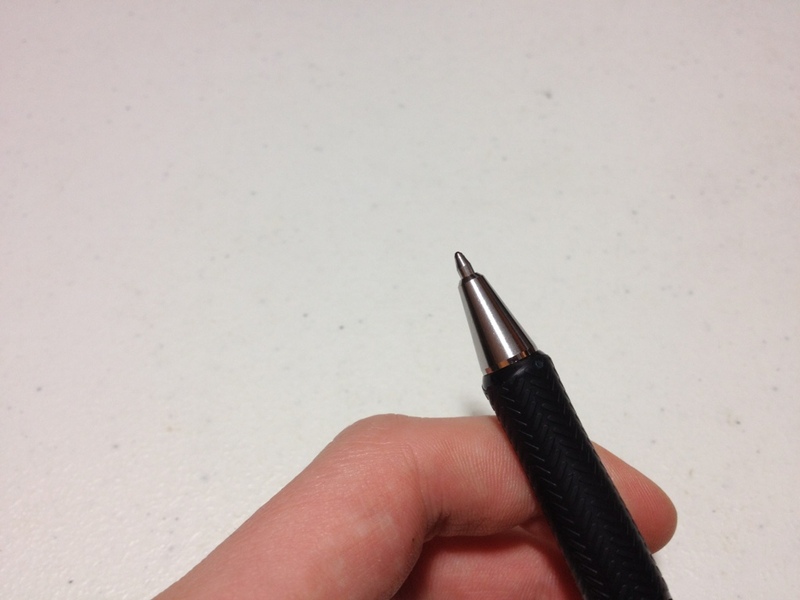 So overall, this is not a drawing pen, but a writing pen, and not a long writing pen either, because of blobbing, but if one merely wants to sign a paper, or write one page it is quite a smooth-writing fine instrument.